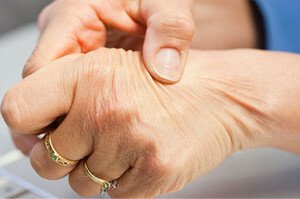 If you are suffering from arthritis, it is often in your best interest to avoid surgery, if possible. In many cases, a non-surgical approach such as physical therapy will avoid the need for surgery. As a top rated treatment provider in Santa Ana, CA, Dr. Howard Marans typically takes a non-surgical approach to treating arthritis. In many cases, a non-surgical approach to treatment can delay the need for a complete joint replacement. In other cases, to restore function and control symptoms, it may be necessary to operate on a joint affected with arthritis. When developing an arthritis treatment plan, Dr. Marans considers the individual needs and desired outcomes of his patients. 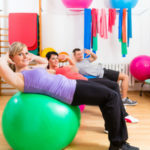 Physical therapy and exercise. Initially, the Doctor may send you to physical therapy until you are comfortable doing the exercises on your own at home. This helps you establish a routine. 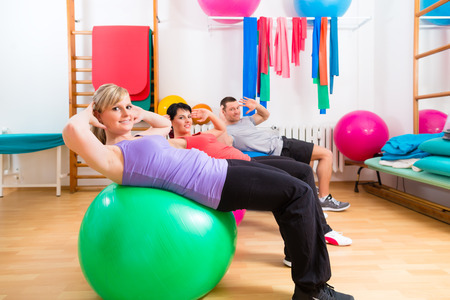 The physical therapist can monitor your progress and suggest adjustments to your exercise plan if pain persists. Recommendation to lose weight. Being overweight puts extra stress on your joints. 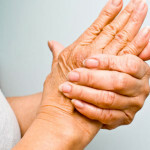 This can worsen your osteoarthritis symptoms. If you are obese, you may be able to reduce your symptoms by losing as little as 10% of your body weight. Taking NSAIDs to relieve pain. The Doctor may recommend that you take over-the-counter non-steroidal anti-inflammatory drugs (NSAIDs) to relieve pain-causing inflammation. It is important to follow the recommended dosage and take as needed. NSAIDs can increase your risk of developing a stomach ulcer or abnormal bleeding. As a top rated arthritis treatment provider in Santa Ana, CA, Dr. Marans has the education and clinical experience to correct your injury or physical condition. As a top treatment provider in Santa Ana, CA, Dr. Howard Marans typically takes a non-surgical approach to treating arthritis. It is often in your best interest to avoid surgery if possible. In many cases, a non-surgical approach to treatment can delay the need for a complete joint replacement. In other cases, to restore function and control symptoms, it may be necessary to operate on a joint affected with arthritis. If arthritis pain intensifies to the degree of disrupting the performance of your normal daily activities, Dr. Howard Marans – founder of OC Orthopedic located in Santa Ana CA – recommends seeking immediate treatment. 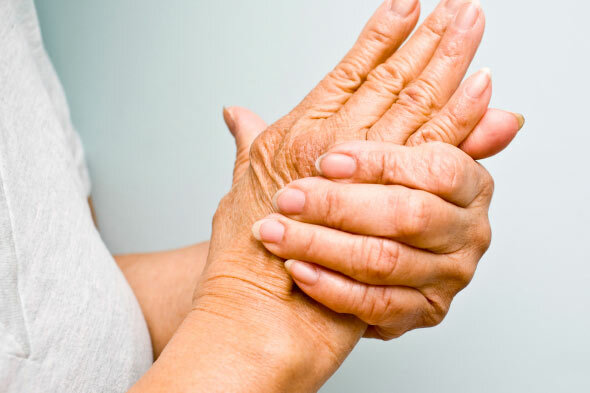 In most cases, arthritis pain can be treated through non-surgical therapies. When you are suffering from osteoarthritis pain, it might seem strange and a bit overwhelming to you that your doctor recommends exercise as part of your treatment plan. What you may not realize is that exercise can help reduce your pain because it increases your strength and flexibility. Moving around will help you feel better and give you back some of the energy that your pain has robbed from you. Dr. Howard Marans typically takes a non-surgical approach to treating osteoarthritis. It is often in your best interest to avoid surgery if possible. In many cases, taking this approach can delay the need for a complete joint replacement. You might not be able to prevent osteoarthritis from happening, but you can give it a good run for the money. Adding exercise to your arthritis treatment can be one of the most important lifestyle change you can make to reduce your osteoarthritis pain. Exercise is proven to slow down the progression of this debilitating condition. Be sure to discuss your plan to add additional exercises to your treatment plan with the Doctor. You want to make sure you are not doing more harm than good. When seeking arthritis treatment, your first choice in Huntington Beach is Dr. Howard Marans. As a world-renowned orthopedic surgeon with over 20 years of experience, Dr. Marans provides a caring and compassionate approach to treating his patients. To schedule an appointment to discuss your arthritis treatment options, call 714.979.8981 or click the icon below. When the surface of the cartilage in your elbow is damaged or has become worn down, you may develop osteoarthritis of the elbow. 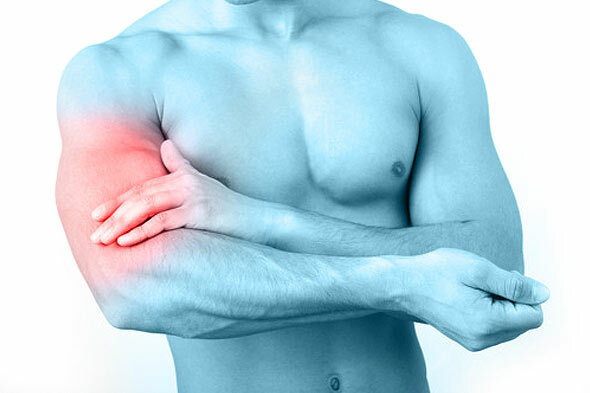 This is often a result of having a previous elbow injury such as a fracture or a dislocation. Arthritis may also set into the elbow joint because of age-related degeneration of the cartilage. Arthritis in your elbow can be painful, but relief is available through proper treatment. If you are suffering from any of these symptoms, you should seek arthritis treatment to prevent further damage from occurring to your elbow. If your elbow arthritis is at an early stage or appears treatable through nonsurgical methods, the orthopedic surgeon will advise treatments to reduce your pain and inflammation. When nonsurgical interventions fail to relieve your elbow pain, it may be time to consider surgery. The type of surgery that will be recommended will be based on the amount of damage in your elbow. If there is limited damage, your orthopedic surgeon may recommend arthroscopy to remove the damaged cartilage or any loose pieces of cartilage or bone that may be present. In some instances, bone spurs may have developed in the elbow joint and can be removed through arthroscopic surgery. With arthroscopy, you will have smaller incisions and a shorter recovery period than traditional surgery. If the arthritis damage to your elbow is advanced, your orthopedic surgeon may recommend surgery to replace your elbow joint. This surgical option can provide a dramatic improvement in restoring function and eliminated pain in your elbow. Dr. Howard Marans of OCOrthopedic+ has treated patients throughout Orange County for over two decades. The Doctor will develop a treatment plan to treat your painful elbow arthritis that best fits your needs. Please click below to schedule your consultation or call us at 714.979.8981. While there is currently no cure for arthritis, treatment options are available to help you manage your symptoms. Whenever possible, Dr. Howard Marans believes in treating his patients with non-surgical options to relieve their arthritic symptoms. The Doctor will develop an individualized treatment plan for you to follow. However, if you are suffering from extensive joint damage due to arthritis inflammation, the Doctor may recommend surgical treatment. Most types of arthritis can be treated through non-surgical methods, which allow patients to live normal lives and not be limited in their daily activities. When possible, your doctor will recommend a conservative approach of arthritis treatment options giving you relief from your arthritis symptoms. The following three recommended treatment options may also help slow the progression of your arthritic condition. 1. Keeping Active. One of the best ways to counteract the pain and joint damage caused by arthritis is to remain physically active. Your doctor may recommend physical therapy to strengthen your muscles, which will provide your joints with added support and increase your flexibility. Participating in simple physical activities, such as walking around your neighborhood, or a fun exercise class, can also reduce your arthritis symptoms. Discuss what types of exercise would be best for relieving your arthritic pain with the Dr. Howard Marans before starting any exercise regimen. 2. Watching Your Weight. Being overweight adds stress to joints. Especially your lower back, hips, knees, and ankles. Maintaining your weight reduces the stress placed on these weight-bearing joints. Losing excess weight will help reduce your pain and slow the deterioration of your affected joints. Eating a healthy diet and increasing your physical activity can help you maintain your weight. 3. Taking Pain and Anti-inflammatory Medications. Your doctor may recommend that you take over-the-counter or prescription nonsteroidal anti-inflammatory drugs (NSAIDs) to reduce pain and inflammation. NSAID options include ibuprofen, aspirin, and naproxen. OCOrthopedic+ founder and medical director – Dr. Howard Marans – has over 20 years of clinical experience successfully treating arthritis. Discover your recommended arthritis treatment option by scheduling a consultation with Dr. Marans. Please click the icon below and enter your information online – or – call 714.979.8981 to schedule your consultation.